Whether it's a pay day treat or picking up some Christmas gifts this weekend, be sure to make the most of all the Black Friday and Cyber Monday promotional codes that will be floating around this Cyber Weekend. Rather than just listing all the promotional codes for you, I thought it would be more helpful to share what will be on offer from some of my favourite brands this weekend. Some of you may be sick of hearing about Black Friday already so I thought I would make it as painless for you as possible. With it being Black Friday, I had to keep things traditional. 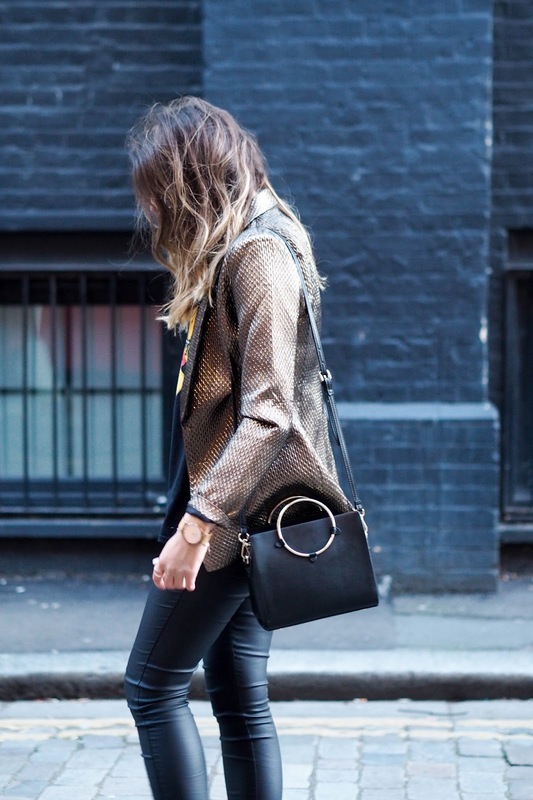 Cue the black outfit for today's post. As it's almost December which means the party season is well and truly upon us, many of you may be looking for something to wear at some point during the festive period. I don't know about you but every year I search for a few key pieces and only end up wearing them once or maybe twice at a push. This year I wanted to do things a little differently which is why for the purpose of today's post I am focusing on two key winter trends: burgundy velvet and metallics from two of my favourite online retailers Missguided and Public Desire (both of which will be hosting amazing promos this weekend. See below for unique codes). 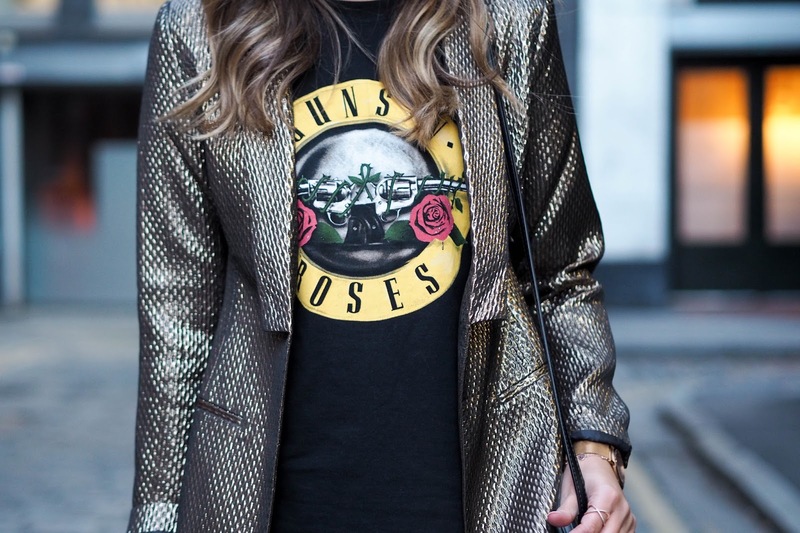 By teaming this metallic blazer with a Guns N Roses slogan tee, I've dressed it down and made it more appropriate for everyday wear. 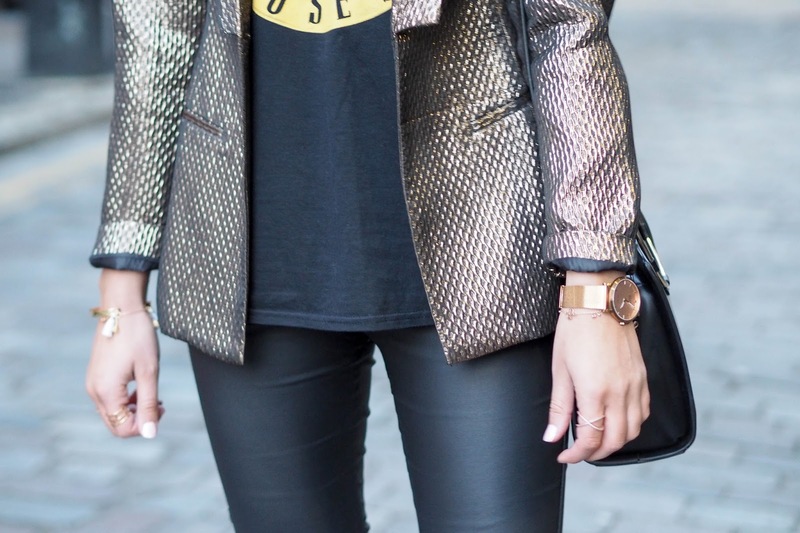 Want to dress it down further? Then swap the velvet sock boots for a pair of old skool vans. That way you'll be getting more than just one wear out of this blazer which is music to my ears and yours I'm sure. 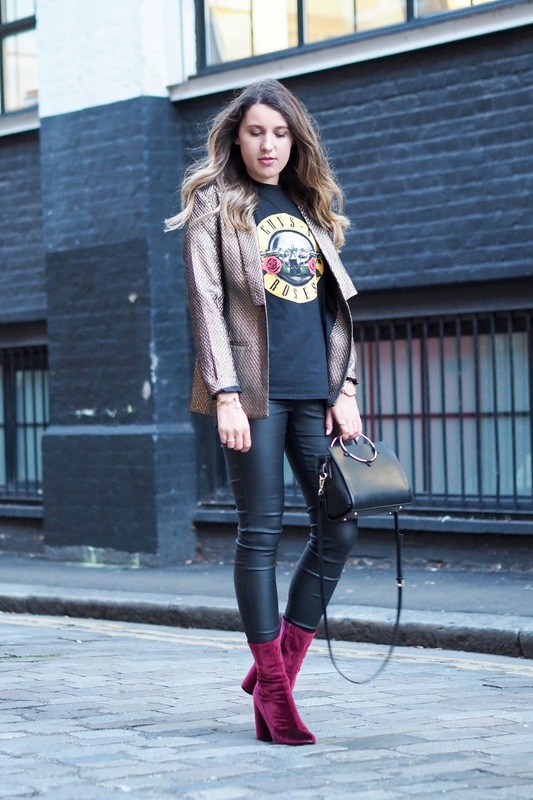 With just the right amount of sass these burgundy velvet boots are perfect for the festive season. I can't get enough of the colour and texture! So below is a round up of the promo codes you can use this weekend from a few of my favourite online retailers and you'll be pleased to know they are all super affordable. 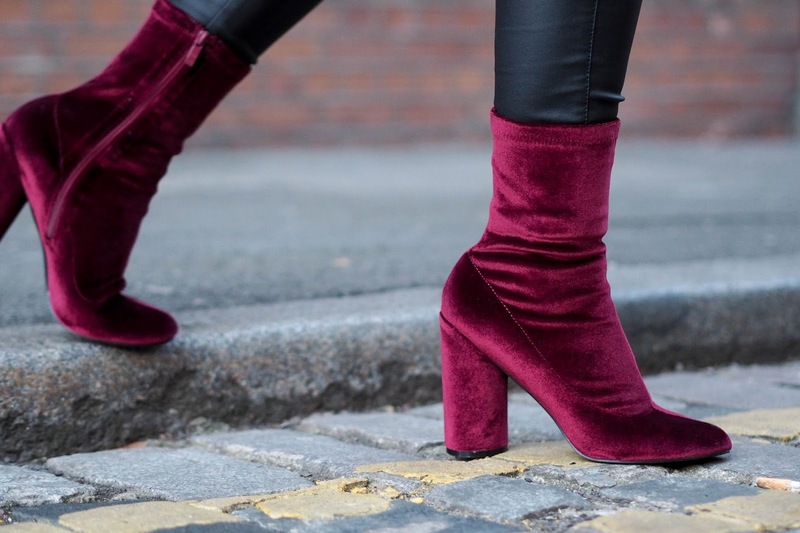 You can bag these velvet dream boots for an extra 30% off the retail price. To shop, click on each retailer below. 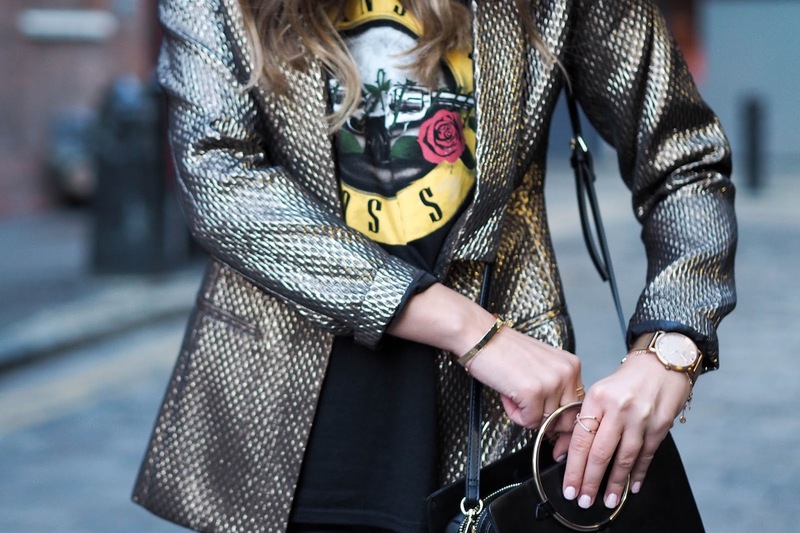 This silver embroidered jacket is a must have piece for the party season! So whether it's a new pair of sparkly heels you're looking for or a brand spanking new pair of trainers Office have got it covered. Happy shopping and let me know if you manage to pick up any bargains this cyber weekend.